Heritage Bag Company is one of the largest can liner manufacturers in North America. We are known in this industry by our ability to adapt, change and grow with our distribution partners. We manufacture high-quality plastic can liners and food bags as well as compostable can liners for every industry including: healthcare, foodservice, lodging and jan/san to name a few. We have a deep history of manufacturing expertise in this industry with over four decades of unmatched, coast-to-coast service. Our loyalty is not just about producing quality products for our distribution partners, it's about understanding their business, anticipating their needs and providing them with real solutions. We are your can liner experts dedicated to growing your business. 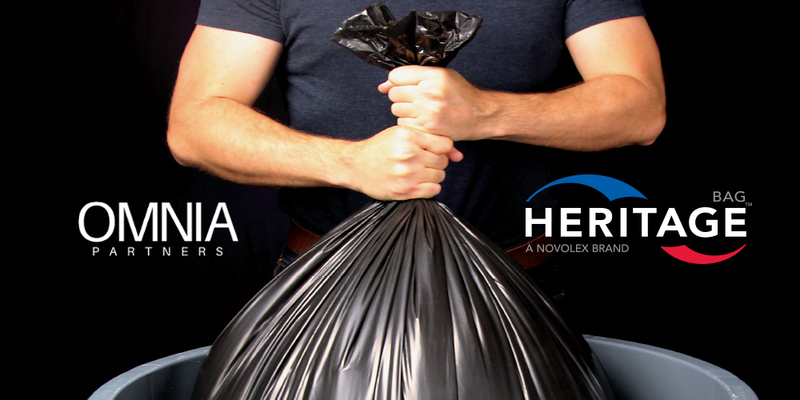 Heritage Bag is a Novolex™ company. To view US Foods' contract documents, click here.